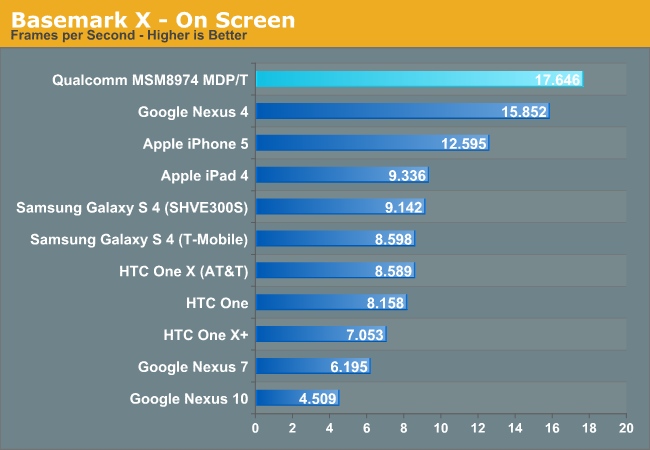 Once again we see absolutely tremendous increases in performance if we look at Basemark X. Adreno 330 improves performance over Adreno 320 by 95%, the advantage over PowerVR SGX 544MP3 is also quite impressive. 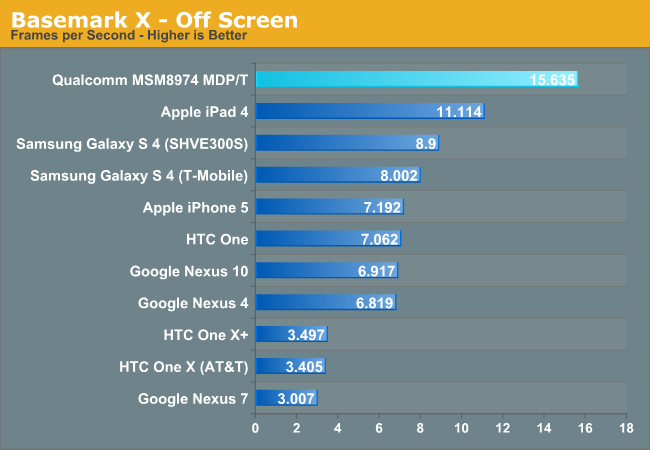 Snapdragon 800 also holds a 41% performance advantage over Apple's A6X in the iPad 4 (PowerVR SGX 554M4). Epic's Citadel benchmark gives us a good indication of lighter workload, v-sync limited performance at native resolution. 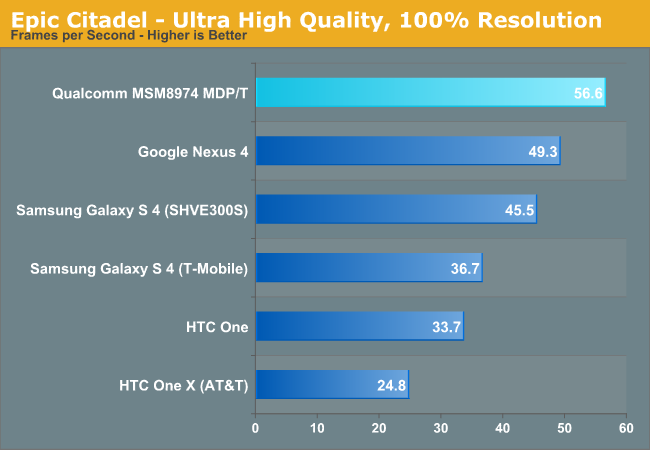 At 1080p, the Snapdragon 800 MDP/T offers over 50% better performance than the Snapdragon 600 based platforms. Granted we're comparing to smartphones here so there's some thermal advantage playing to the 800's favor.